AMLO’s Maya Train… All Aboard! On December 16, two weeks after his inauguration, Mexican President Andrés Manuel López Obrador stood alongside politicians, businesspeople, and representatives of Mayan indigenous communities outside Palenque, Chiapas, in southern Mexico. Smoke rose from traditional copal incense chalices as the president-elect oversaw a Mayan ritual asking Mother Earth for permission to build his signature infrastructure project: El Tren Maya—the Mayan Train. Running more than 900 miles from the beach resorts of Cancún to the Mayan archaeological site at Palenque, the $6.5 billion rail project would link towns, cities, and tourist attractions in five southern states. Planners expect a ridership of 8,000 passengers a day, evenly split between locals and tourists. But before construction begins, Mexican officials need to meet numerous legal requirements. First is the Environmental Impact Statement to show that the train does not violate Mexico’s environmental regulations. According to the Mexican Center for Environmental Law (CEMDA), the train will traverse 15 federal-level Natural Protected Areas and 20 state-level protected areas. FONATUR says that reforestation projects will accompany the train’s construction. Impacts on fauna, water resources and biodiversity have not yet been quantified. FONATUR’s Director Rogelio Jiménez Pons says the government will work closely with communities along the train’s path to achieve equitable development. And at this point the question is: Is the government of Andrés Manuel López Obrador prepared to carry out a work of this magnitude without due promotion and international projection? 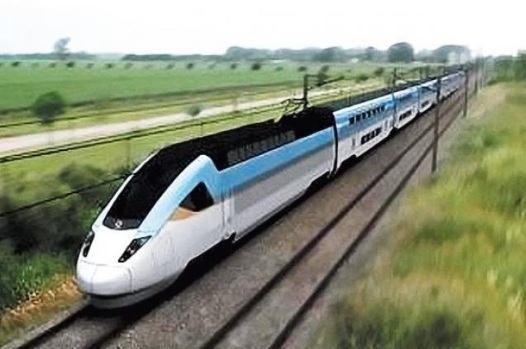 Is the Maya Train really a project that will help the people of the Yucatan Peninsula to improve their quality of life, or is it just one of those “brilliant ideas” that the new government wants to impose without the proper arguments?